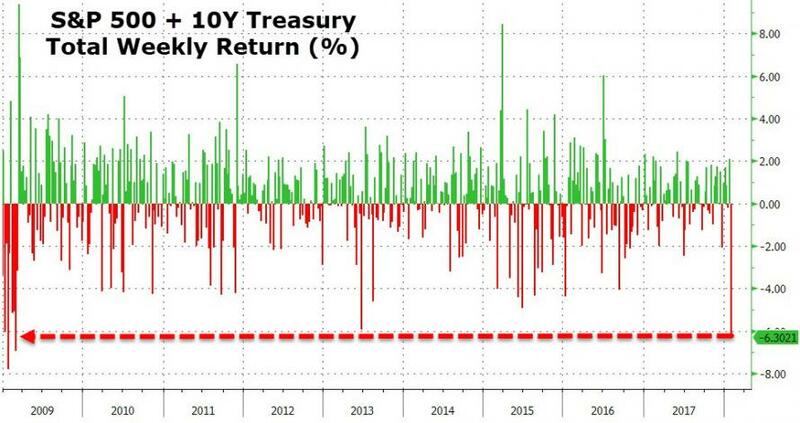 Yesterday's US equity market collapse and simultaneous bond market bloodbath was the biggest combined loss since December 2015, but perhaps more ominously, the week's combined loss in bonds and stocks was the worst since Feb 2009. 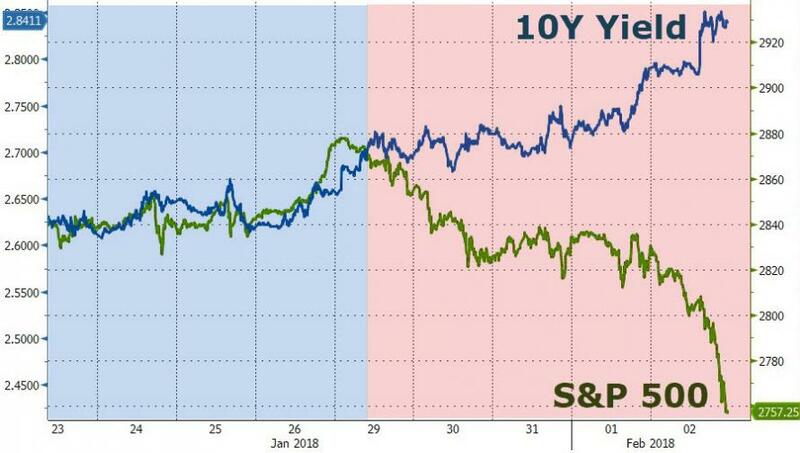 Many suggested that Friday's slump was GOP-memo-related, and it may well have removed some froth, but judging by the major correlation regime shift between stocks and bonds that started on Monday, we suspect this is something considerably more worrisome for investors. Even JPMorgan admits that the bond market sell-off gathered pace over the past week raising concerns about its impact on equity markets. This is especially because the bond-equity correlation, which has been predominantly negative since theLehman crisis, has started creeping up towards positive territory. 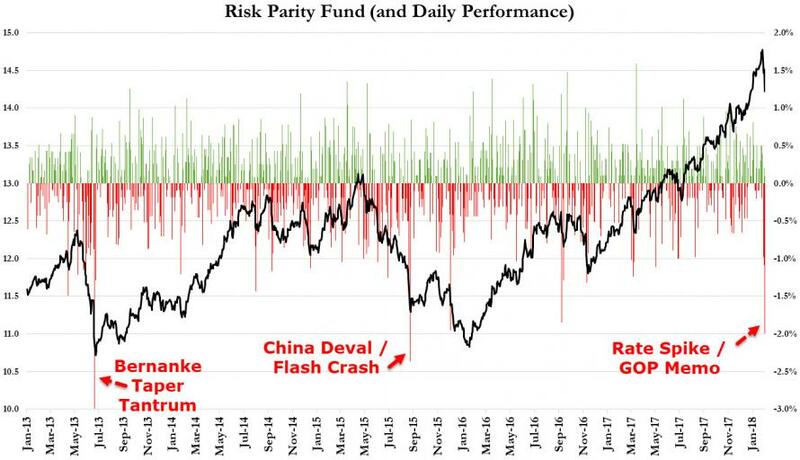 In turn this raises concerns about de-risking by multi-asset investors who depend on this correlation staying in negative territory such as risk parity funds and balanced mutual funds? How worried should we be about de-risking by these two types of investors? As mentioned above, these types of investors benefit from the structurally negative correlation between bonds and equities as this negative correlation suppresses the volatility of bond/equity portfolios allowing these investors to apply higher leverage and thus boost their returns. But, as JPMorgan points out, the opposite takes place when this correlation turns positive: the volatility of bond/equity portfolios increases, inducing these investors to de-lever. In the past, just as we have seen this year, these risk-parity-correlation tantrums have been cushioned by equity market inflows, and we note that, in particular, YTD equity ETF flows have surpassed the $100bn mark, a record high pace. If these equity ETF flows, which JPMorgan believes are largely driven by retail investors, start reversing, not only would the equity market retrench, but the resultant rise in bond-equity correlation would likely induce de-risking by risk parity funds and balanced mutual funds, magnifying the eventual equity market sell-off. 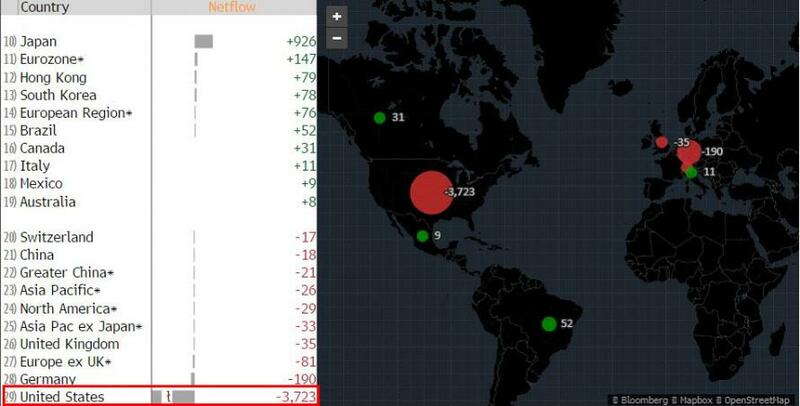 Yesterday was the first day of the year when equity ETFs saw significant outflows of $3.7bn. 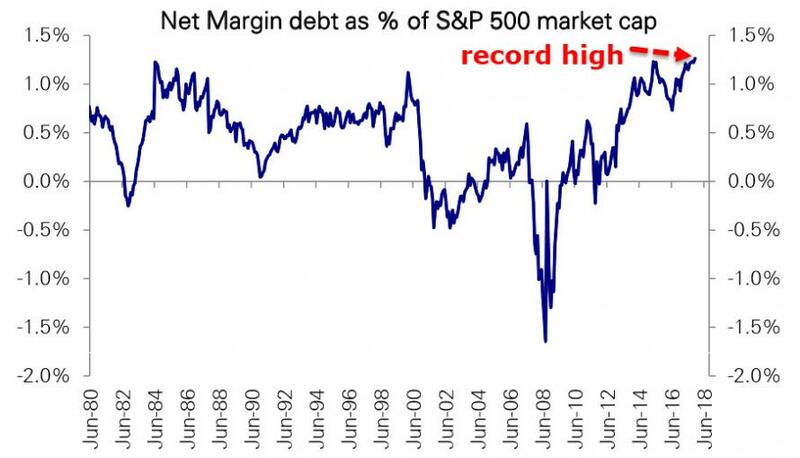 While JPMorgan states that they are "reluctant to attach too much importance to the outflows of only one day," the risk of a more significant equity market correction will naturally rise if these outflows extend into next week. 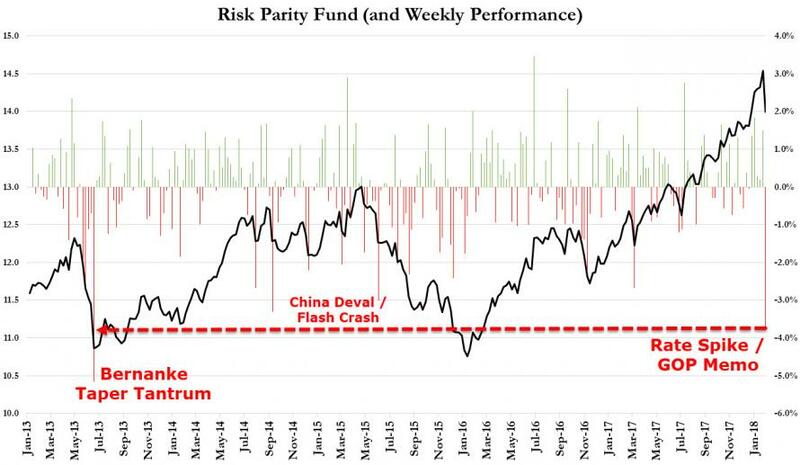 Put more simply - either we get a major equity ETF inflow to offset the risk parity hit, or markets are going a lot lower, a lot faster as the forced deleveraging accelerates. Even Bloomberg is worried, looking at the week’s drumbeat, you can’t help but wonder, is this the start of something big? 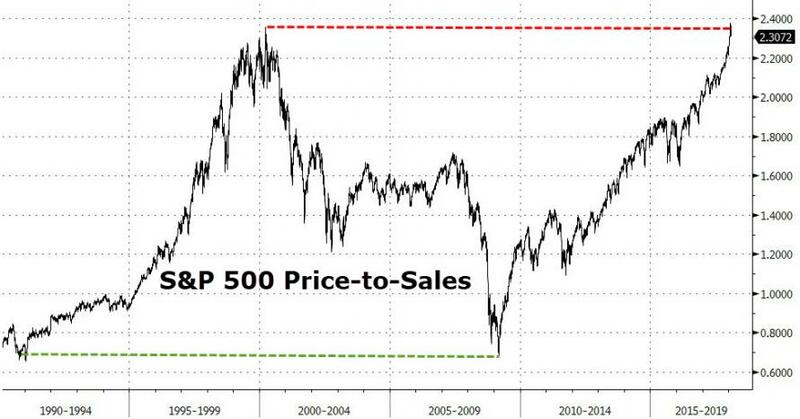 Warnings about valuations have been pouring forth from bears for so long that barely anyone listens anymore. With the S&P 500 up almost 50 percent in less than two years, some see the end of the blissfully easy money that equities have spewed out for 13 straight months. 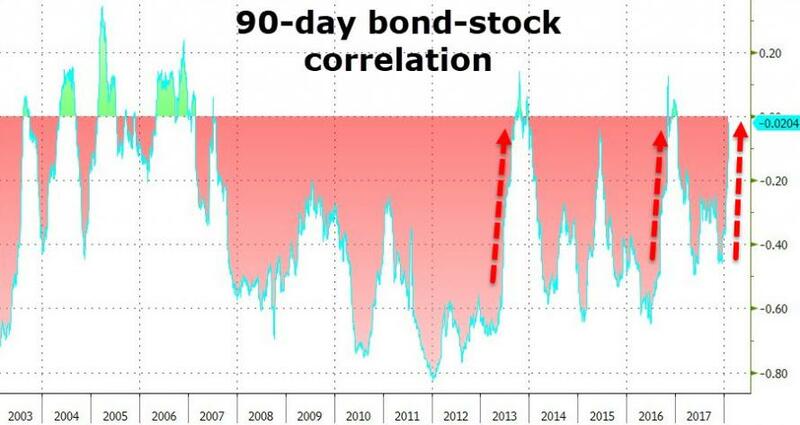 And the potential for a quant-fund-driven forced-liquidation is growing every day with bond-stock correlations.